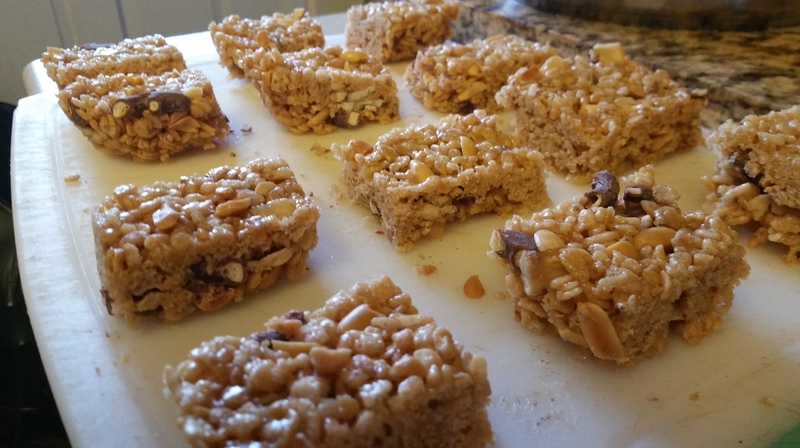 I went on a granola bar making binge recently. First I had a friend who was traveling who I thought could use a snack, and then I was in a show with a lot of long hours and heavy lifting, so I made tons of bars for the whole cast. Then Joe spoke up. He doesn’t like oats, or the texture of most dried fruit. What kind of bar could I make for him? I remembered a Kashi bar that he used to eat that had chocolate covered pretzels in it and a sort of crispy cereal base. I considered that banana chips weren’t chewy and so I added those to the equation, and that’s when it hit me. 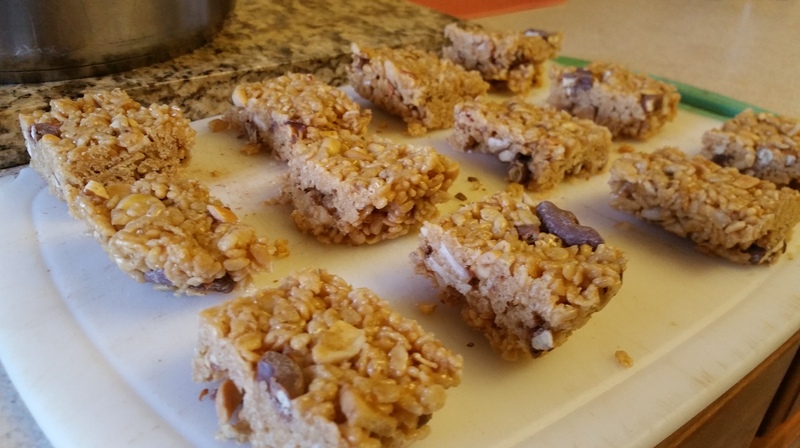 Add some peanuts and peanut butter and you have something approximating Elvis’ beloved fried peanut butter and banana sandwiches in breakfast bar form. With a little added chocolate because yes, please! Line an 8×8 in. square pan with parchment and set aside. 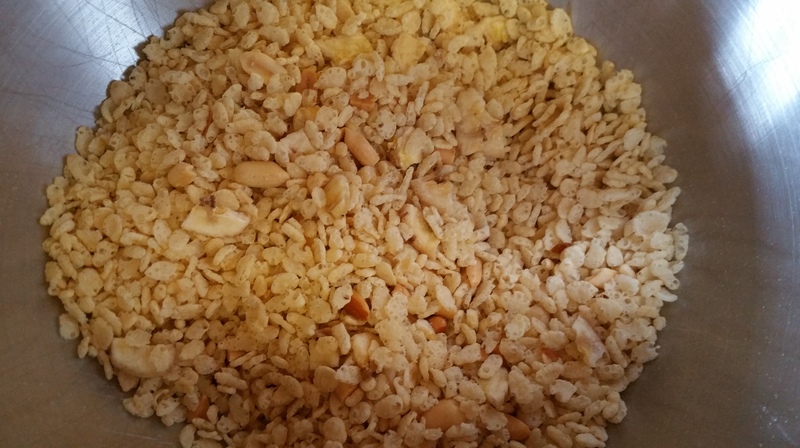 In a large bowl, combine the cereal, banana chips, and peanuts. 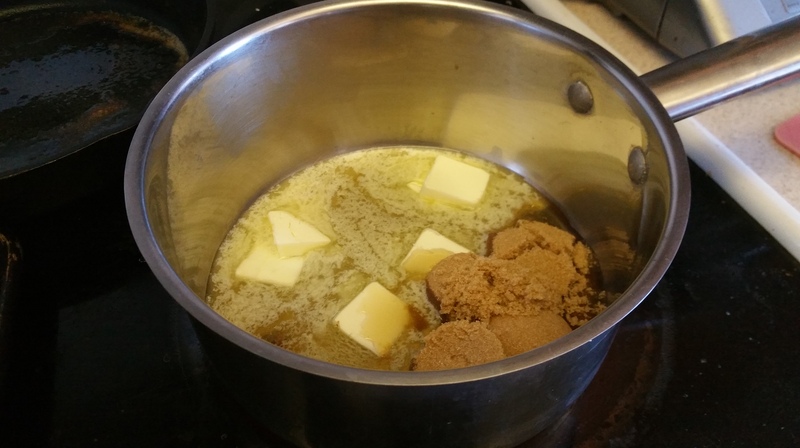 In a medium saucepan, combine the brown sugar, butter, honey, vanilla, and salt. Cook until the mixture just starts to bubble. 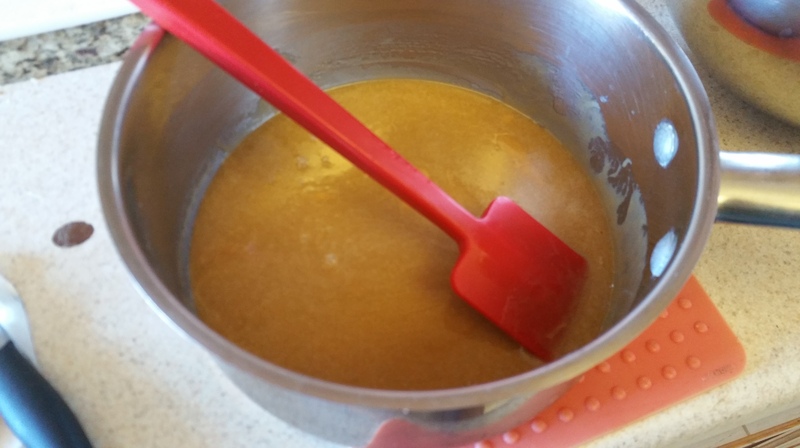 Remove the saucepan from the heat and stir in the peanut butter until smooth. 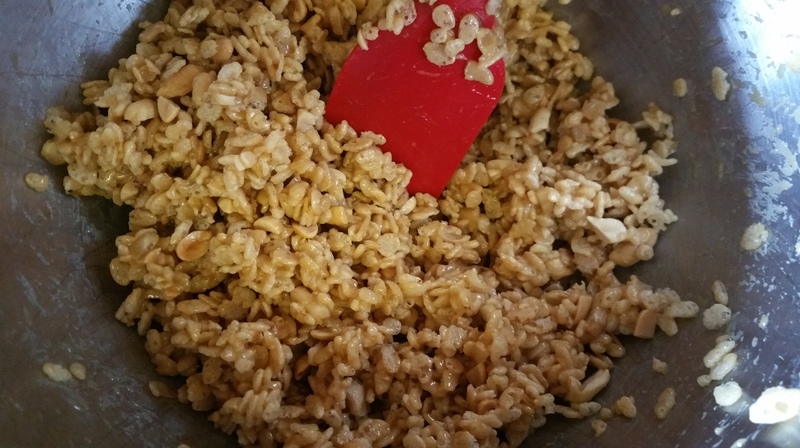 Add the peanut butter mixture to the cereal mixture and stir well to combine. 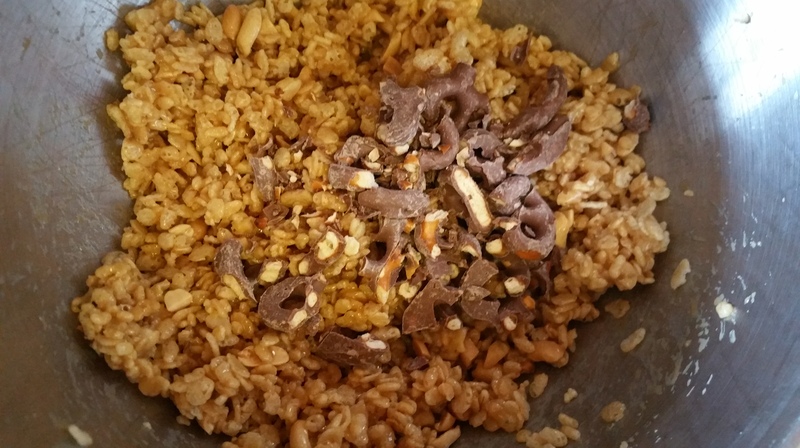 Wait 15 minutes for the mixture to cool slightly, and then add the chocolate covered pretzel pieces. Pour the mixture into the prepared pan and press firmly into an even layer. Chill in the refrigerator for two hour before cutting into squares. I wrap them individually in plastic wrap and store in the refrigerator. Crispy, chewy, sweet, and salty. Delicious! Hope you enjoy these royal treats soon.